Moringa has been been recognized for centuries for its various health benefits. It has recently become popular to take as a supplement and we have recently seen a huge growth in the Moringa supplement market. With so many different Moringa options, it can be hard distinguishing which is right for you. This Hawaii Pharm Moringa Liquid Extract review is going to take a closer look at the facts to learn more about how this Moringa supplement is unique to other Moringa supplements. The manufacturer claims that their supplement is unique because it is super concentrated and they claim is of the highest strength. The only active ingredient in this supplement is Organic Moringa Oleifera Dried Leaf Powder. Other ingredients include vegetable glycerine, alcohol, and water. Moringa is a plant that is native to Asia and contains proteins, vitamins, and minerals that offer a wide array of health benefits. It is a strong antioxidant that can protect your cells from damage. When taken orally it is believed to support healthy respiration and can relieve anemia, arthritis, constipation, diarrhea, stomach pains, high blood pressure, kidney stones, thyroid disorders and can help increase milk supply for breastfeeding mothers.Hemp seeds are rich in protein, polyunsaturated fatty acids, omega 6, omega 3 and insoluble fiber. They are also a good source of Vitamin E antioxidants. This supplement comes in the form of a liquid. The manufacturer recommends shaking well before use. Take 20-30 drops up to four times a day or as otherwise directed by your healthcare provider. It is recommended that you mix the drops with a flavored liquid. It is possible to drop the drops directly into your mouth but that is not recommended because the taste is unpalatable. This supplement is not meant to be used during pregnancy or if you are allergic to any of the ingredients. Talk to your doctor before taking this supplement if you are nursing or are taking any medications. 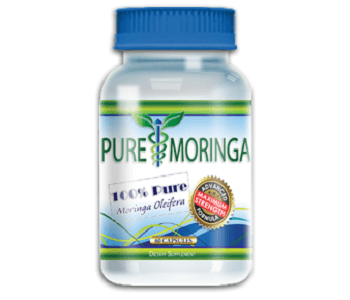 You can purchase this Moringa Liquid Extract directly from the manufacturer’s website and from third-party retailers. One 4 oz. bottle costs $29.95 on the manufacturer’s website. The manufacturer will on accept a return for closed and unused products but they do not say how much time you have to request a refund. Throughout our research of this product, we were unable to find any consumer feedback which suggests to us that this is not a well-known or popular Moringa supplement. 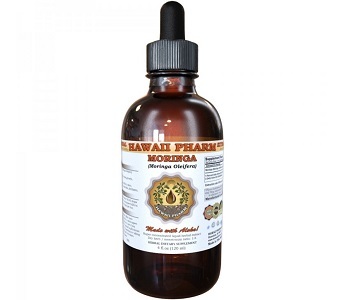 Hawaii Pharm Moringa Liquid Extract appears to be a promising Moringa supplement. It comes in a liquid form to make the formula more concentrated and there are no known side effects associated with this supplement which is always reassuring. The manufacturer does appear to offer a money back guarantee but their policy is weak and limited. They will not issue a return for a product that has been used so that means that if you purchase this extract, try it and are dissatisfied in any way, you cannot get your money back from the manufacturer. Furthermore, the lack of consumer reviews indicates to us that this product has not been tried out by enough people to be able to gauge whether or not it is effective. You are better off choosing one of the many Moringa supplements available on the market that offers a strong manufacturer’s guarantee and one that has consumer feedback to give you a better idea whether or not the product can work for you.